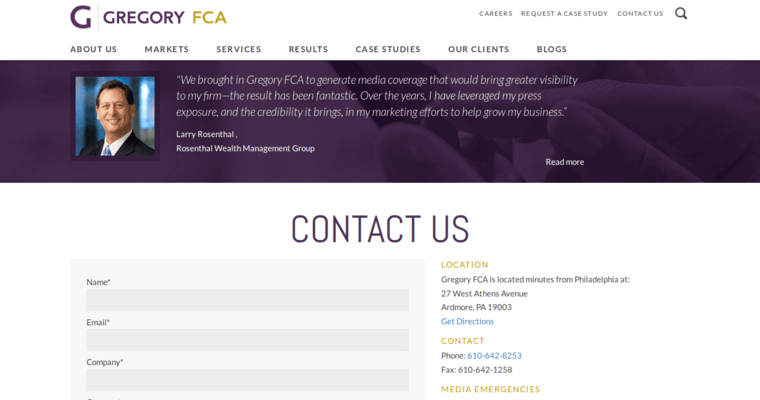 Gregory FCA is a national public relations company that serves all types of clients, however, their main focus is on financial communications and investor relations. The Pennsylvania-based firm has a staff of 70 professionals who excel at message development, media training and relations, event production, crisis communications and reputation management. 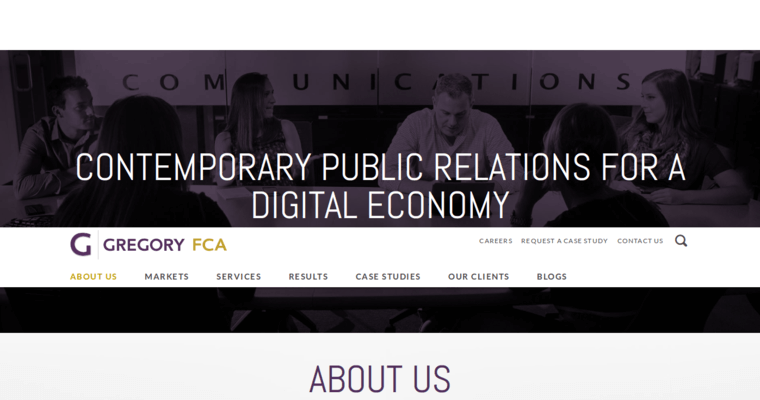 Gregory FCA builds credibility for clients in earned and owned channels with venue identification, speaking engagements, content creation and content marketing. The PR firm also builds awareness for crowdfunding initiative on various platforms. 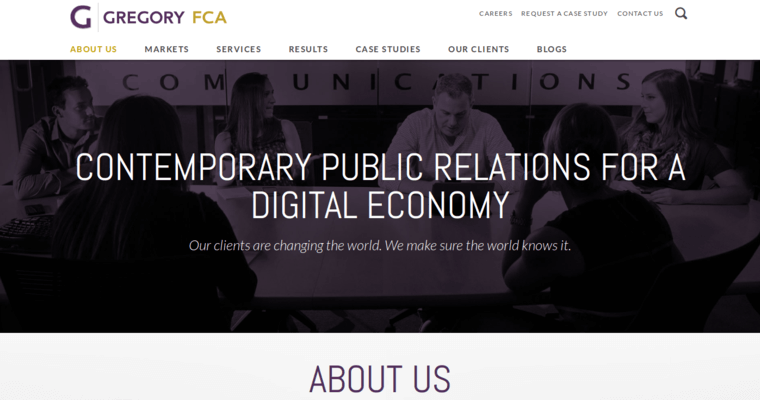 Gregory FCA sets themselves apart from other PR firms with their live streaming studio. Clients can come into the studio or record from their offices using the PR firm's talent, who host interviews and lively discussions.